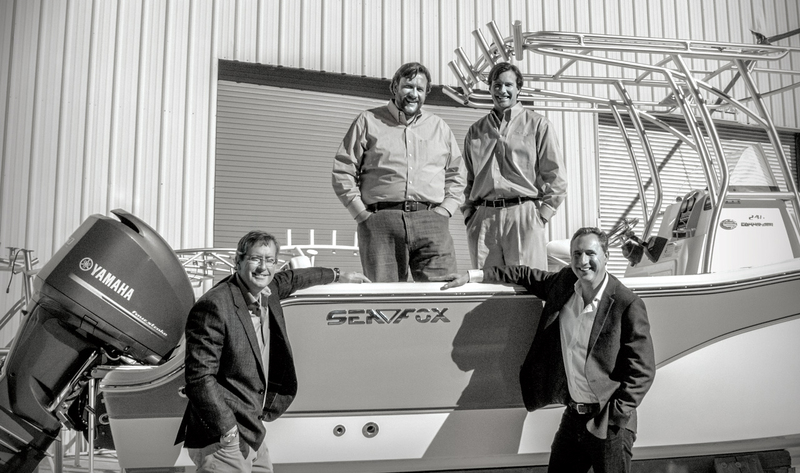 Nearly 20 years ago, Sea Fox Boat Company began with a clear governing philosophy at heart: to develop and build quality hand-crafted saltwater boats that are durable, dependable and affordable. While a whole lot has changed in the materials and the methods of building boats during the past two decades, Sea Fox remains committed with a passion and a purpose to perfecting the ability to offer our customers the finest boats for the fairest price. Today Sea Fox has grown to become the nation's leading manufacturer of value-driven saltwater boats offering you a full line of diverse boat designs: center consoles, bay boats, walk arounds, side consoles and dual consoles models. All are paired with a multitude of leading edge technology and innovative features that are unmatched in the industry. We share your love for moments spent on the water with friends and family, which is why every Sea Fox boat model offers a unique blend of fishing/family friendly options perfectly matched to your specific boating passion. We stand behind our boats with one of the best warranties in the industry with our Lifetime Hull Warranty. Whether you enjoy inshore or offshore fishing, cruising or wake boarding, tubing or exploring by water, Sea Fox has the right boat model to exceed your expectations.